UPDATE: Should no longer cause errors to appear in your game files! UPDATE: updated for Gallery Patch! 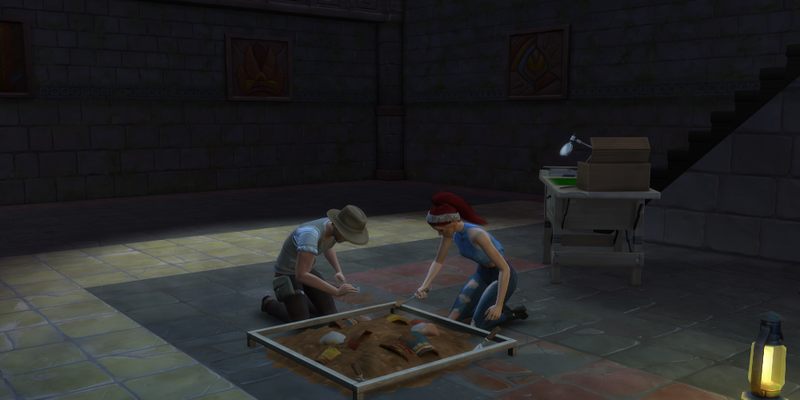 This adds a rabbit hole (Sims leave the lot for work and come home at end of day) into your game. 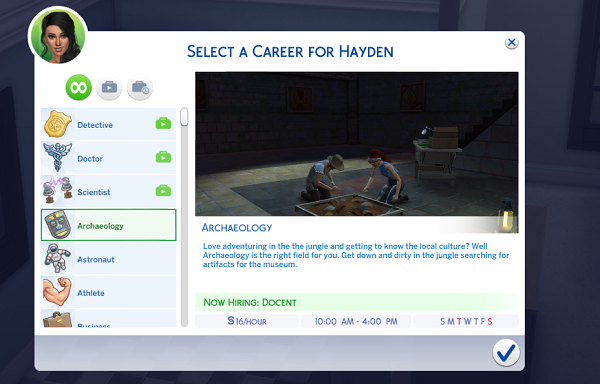 This is a ten level career track with zero branches to it for Archaeology as I felt is was a missed opportunity to have it added by EA as an actual career. I worked hard on this career doing countless hours of research and testing. As far as I know from testing it works like any other career with options to take days off from work for vacation and being able to call in from phone menu on that. It is currently only in English and if you'd like to translate to another language please message me and I will add in translations. I would also like to thank Neia for allowing me to beta test her web application for creating a career. Archaeology.zip | Description: Update for the Python-33 error. I think I left out a step when doing them in the middle of the night.